Innovative-IDM and Yaskawa Motion went to our customer’s site last week to do training on motion control equipment. That’s Yaskawa Motion’s Sixto Morales doing the hands-on training and Jeff Moyer offering moral support in the background. Innovative-IDM works in concert with all of it’s core vendors to bring factory knowledge to a local level. If your staff needs training on PLCs, drives, motion controls, safety, whatever, we can probably help you out while keeping your staff on site and on call. Contact us and we’ll show you how easy it can be. We do training in Texas, Oklahoma, Louisiana, Tennessee, Arkansas and about any place else we really need to be to help customers. 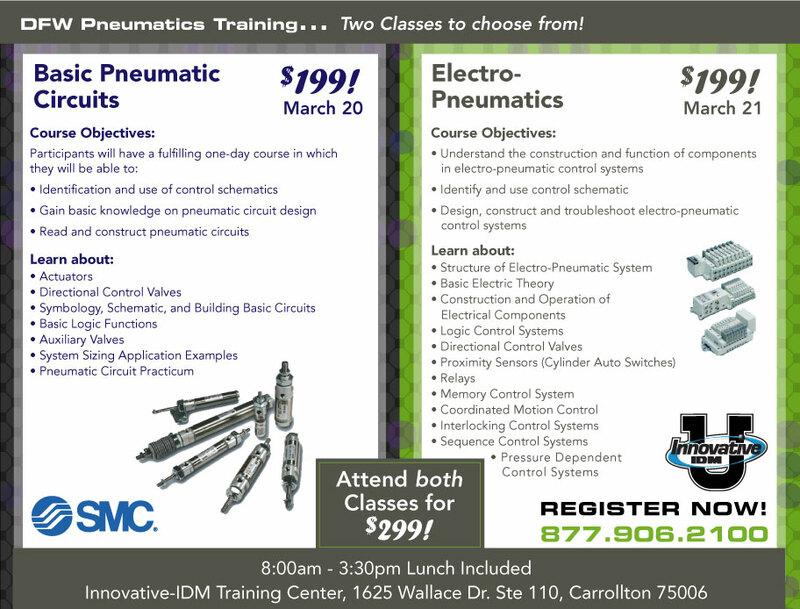 DFW pneumatics training; Basic and Electro-Pneumatic Classes to choose from. March 20-21, 2013. Each class is $199 or you can enroll in BOTH for a special price of $299. Both classes are taught by SMC training specialist Raul Gonzalez, who leads pneumatic training classes all over the country. All learning materials are provided — plus a catered hearty LUNCH. To register for either BASIC PNEUMATIC CIRCUITS or ELECTRO-PNEUMATICS class, give us a call at 214.574.9500 or email us at marketing@iidm.com. 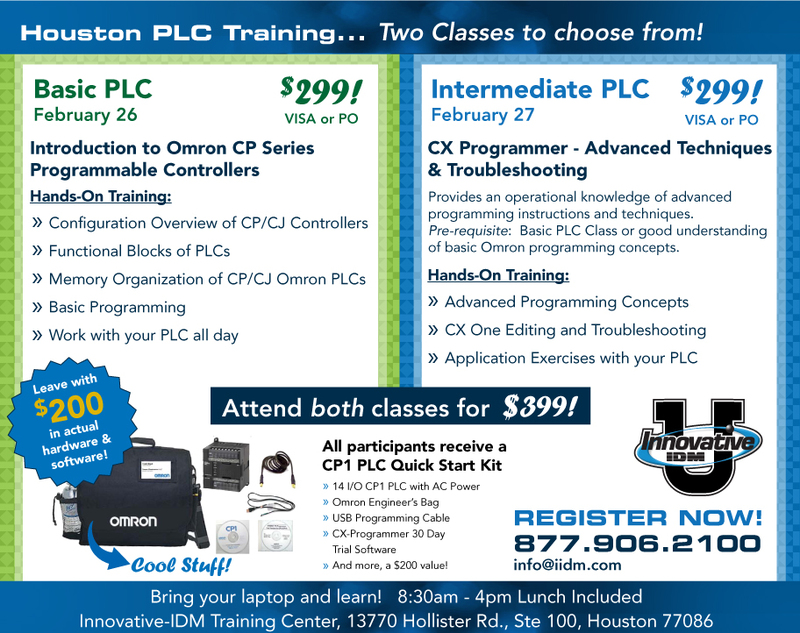 Omron PLC training is coming to Houston on February 26 & 27! Innovative-IDM will be offering Basic and Intermediate Omron PLC training – the PLC classes are our most popular training classes of the year. Seats are limited and will fill up fast! Reserve your seat today by calling us at 877.906.2100 or sending us an email at marketing@iidm.com. $299 per class or attend both classes for $399! Kicking off a great year of training! Innovative-IDM is offering Basic and Intermediate Omron PLC training in Dallas-Fort Worth on February 19 & 20. The PLC classes are our most popular classes of the year – seats are limited and they will fill up fast. Reserve your seat today by calling 877.906.2100 or sending us an email at marketing@iidm.com! The Basic PLC is one of our most popular classes of the year. This is the first time we’ve offered an Advanced PLC class – seats are limited and they will fill up fast. Give us a call at 877.906.2100 or email us at info@innidm.com and reserve your seat today! Our new customer training class page is up and running. You now can plan to attend some of the best industrial controls and automation classes in our area. Plus, many of these classes are offered by the manufacturers at twice the price AND you have to travel out of town to attend. With Innovative-IDM University, you get training close to home. Training = Career Growth. Don’t miss out. Sign up now by calling 877.906.2100. Right now, in our training room in Dallas. 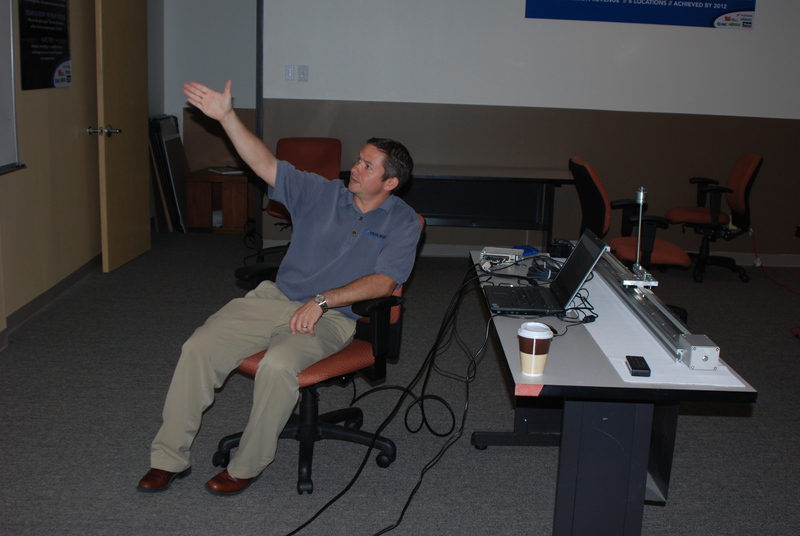 Advanced servo training from Jeff Moyer of Yaskawa Motion. Nice to have the big dog of servo training in our building. This same class comes to Houston on Thursday. Are you signed up?